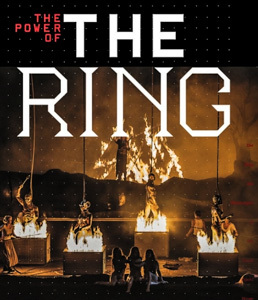 Clive Barda’s book The Power of the Ring, documenting in photographs the Royal Opera’s 2007 Ring Cycle, is being re-issued to coincide with the revival of the cycle opening this year. With 288 pages including more than 350 full-colour photographs by Clive Barda of production preparations, rehearsals and performances, ‘The Power of the Ring’ is an essential companion to the Ring Cycle at Covent Garden. The book is a unique account of the first 21st-century production at the Royal Opera House of Richard Wagner s Der Ring des Nibelungen conducted by Antonio Pappano and directed by Keith Warner. Designed by Gary Kahn, it records the creation of The Royal Opera’s exciting new Ring Cycle from its first ideas through to performance. The detailed text features extensive interviews with the production team of Antonio Pappano, Keith Warner, Stefanos Lazaridis and Marie-Jeanne Lecca, as well as commentaries by members of a distinguished cast including Bryn Terfel, John Tomlinson, Placido Domingo and Waltraud Meier. Originally issued in 2007, this new updated version is published to coincide with 2012′ s performances of the Pappano/Warner production of Der Ring des Nibelungen at the Royal Opera House. Copies of the book in a new soft cover edition will also be available through the Royal Opera House shop in Covent Garden.